Previously at Runemo, Pontus started to go steady with Lovisa Mattsson of Bluewater. 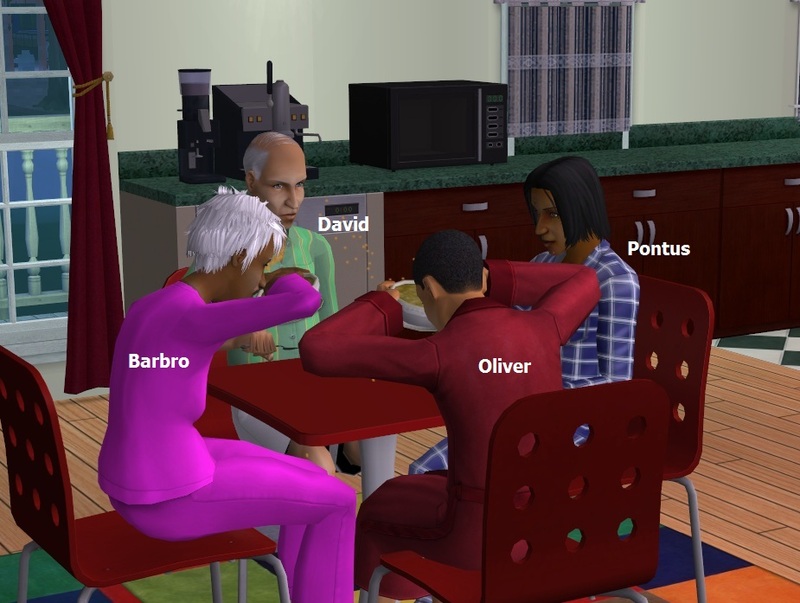 Pontus and Oliver were accepted in Private School. 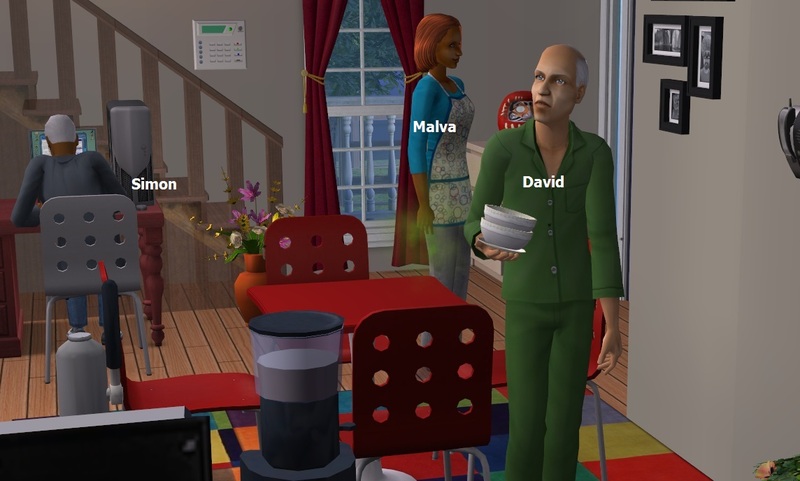 Barbro and David lead a calm elderly life, spending time with each other, the cat and friends. 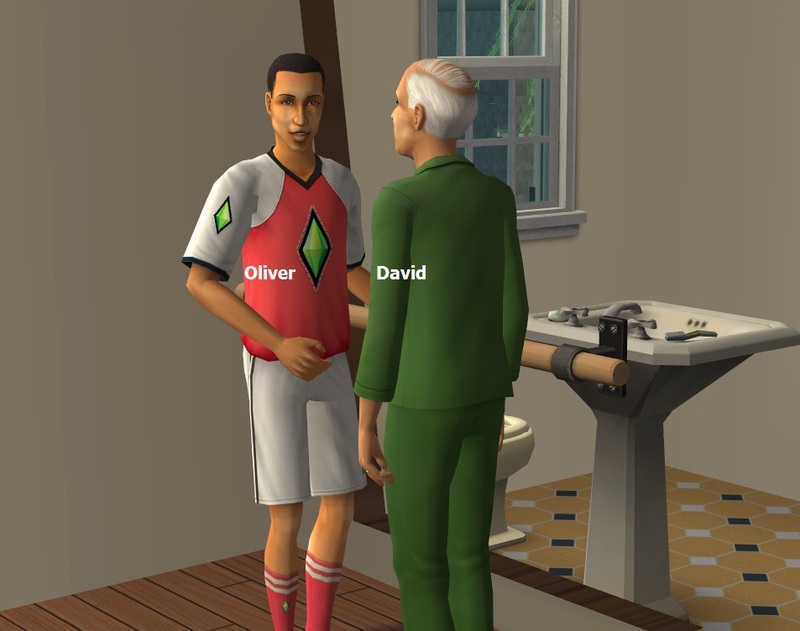 Oliver wishes to get a job in Medical, or in Science. 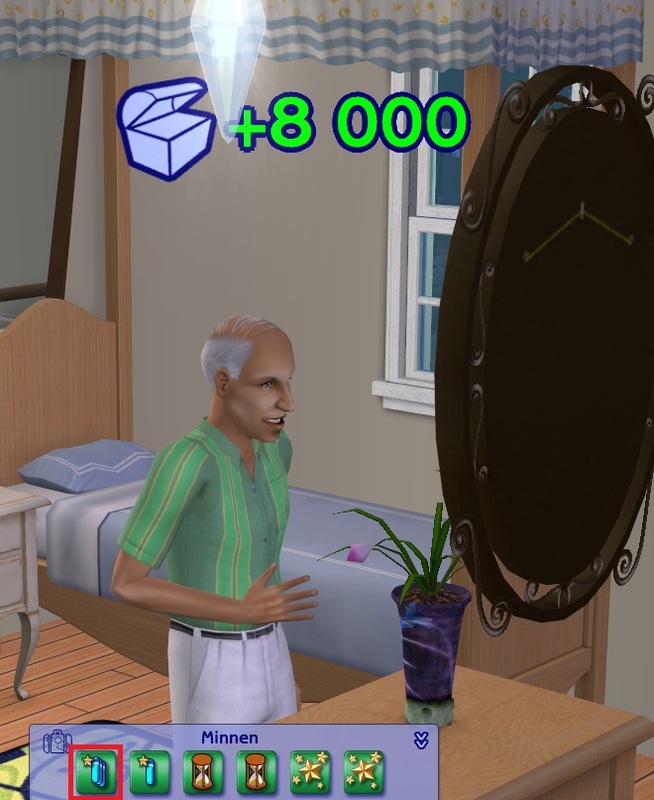 He's worried that his now YA girlfriend Cecilia Lind will die, maybe there is some connection. It's not often this icon is seen in Mattsmyra. There really should be a rule that all needs to retire latest at 67, as IRL. 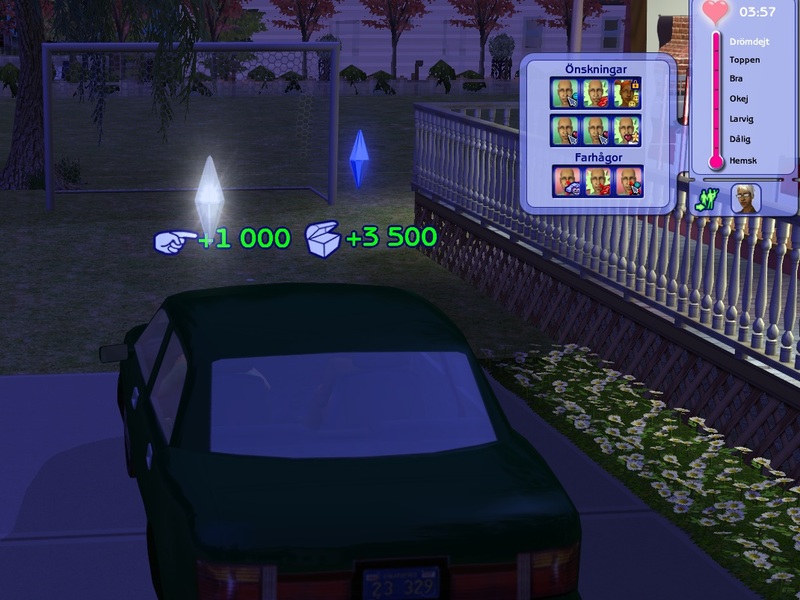 The exception could be Fortune sims, who can work until they drop dead. 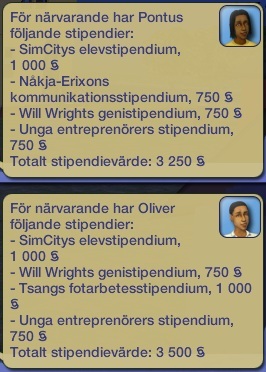 Interesting fact - Oliver's twin Pontus wants a job in Medical and is afraid his girlfriend Lovisa Mattsson will die. What's wrong with the girls? Or with the neurotic boys? 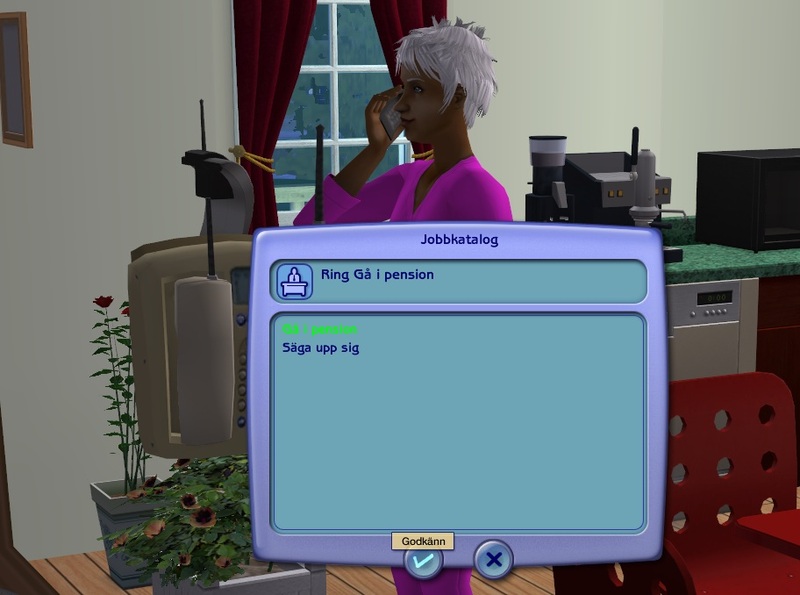 The boys are Knowledge sims, too and good at their jobs, so they reach the teen TOC on their first day. Sunday it's Family Sunday again. 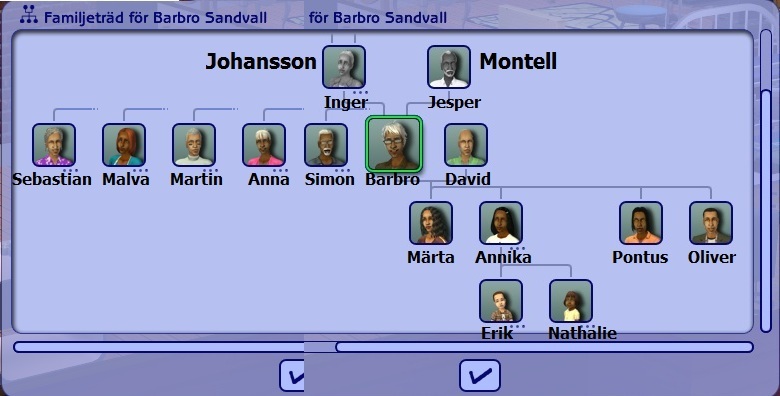 Barbro is number two among the Montell siblings, who are now all old except baby sister Malva. Time will catch up with her when we get to her lot. Barbro an David met in Uni and got married directly after finishing their studies. 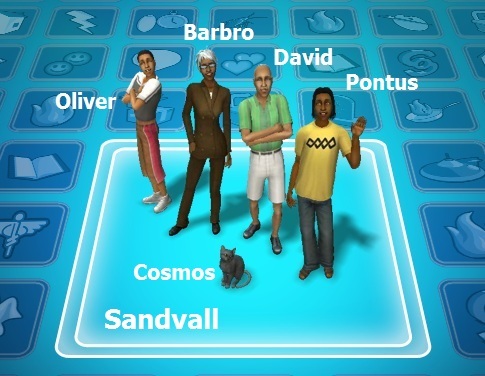 They have daughters Märta and Annika and sons Pontus and Oliver, who they just sent to Uni. Annika is married to Aron Wern and they have twins Erik and Nathalie who are toddlers at this time. 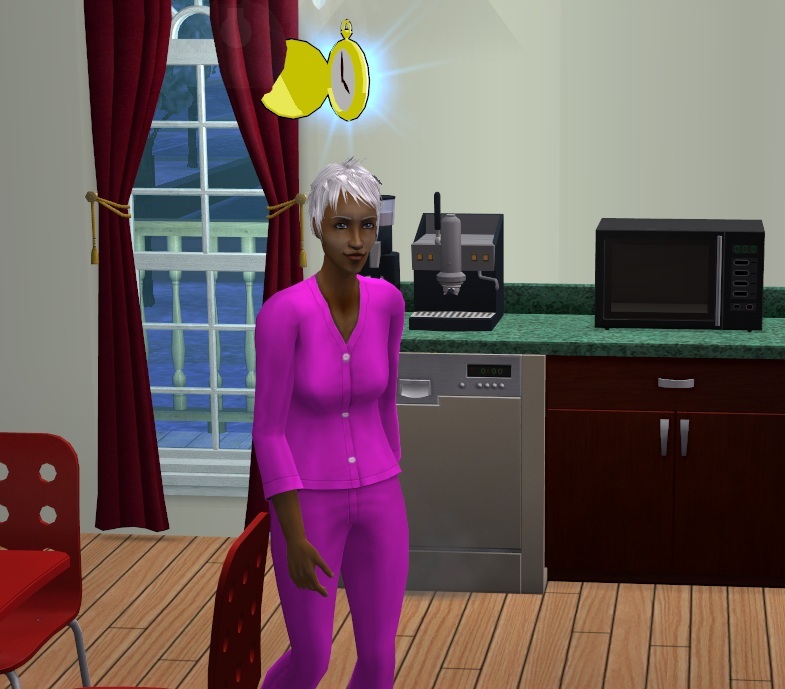 Barbro takes the opportunity to get to know her niece Siri better before she heads off to Uni with her cousins. This is YA Oliver, testing out the ballet barre at his parents' house, while his father hopes to exchange some words with him. 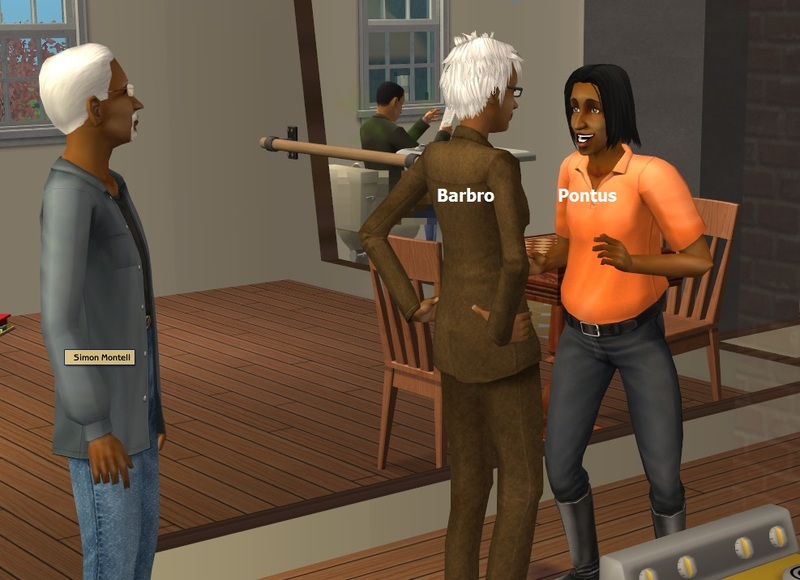 Barbro has better luck in connecting with YA Pontus. Her older brother Simon waits for his chance. 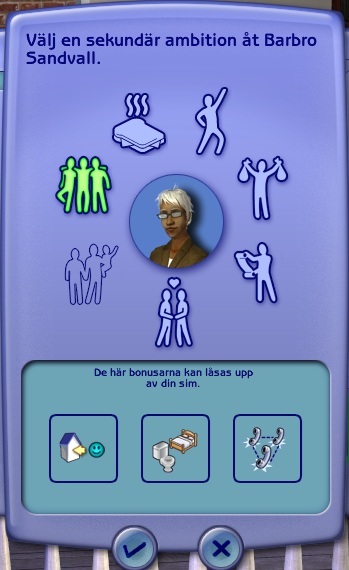 And Barbro gets enough aspiration points to become part Popularity sim. 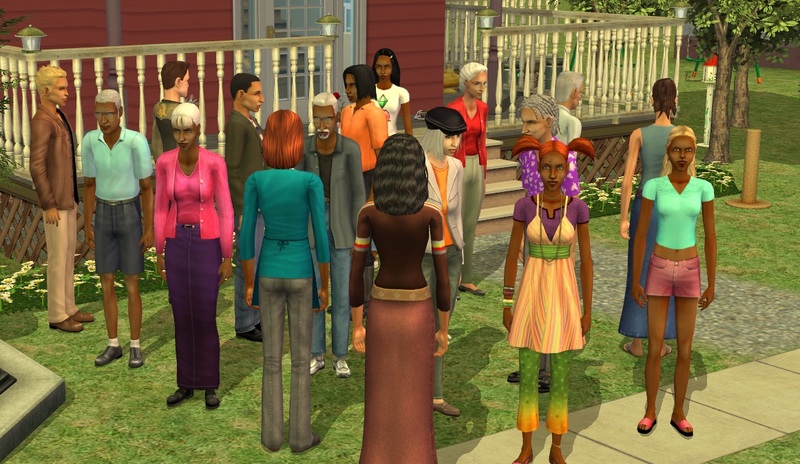 It's really fitting for her, always wishing to invite people over! They all grow up so fast. :) The family is doing well and with only elders for awhile it will be very quiet. 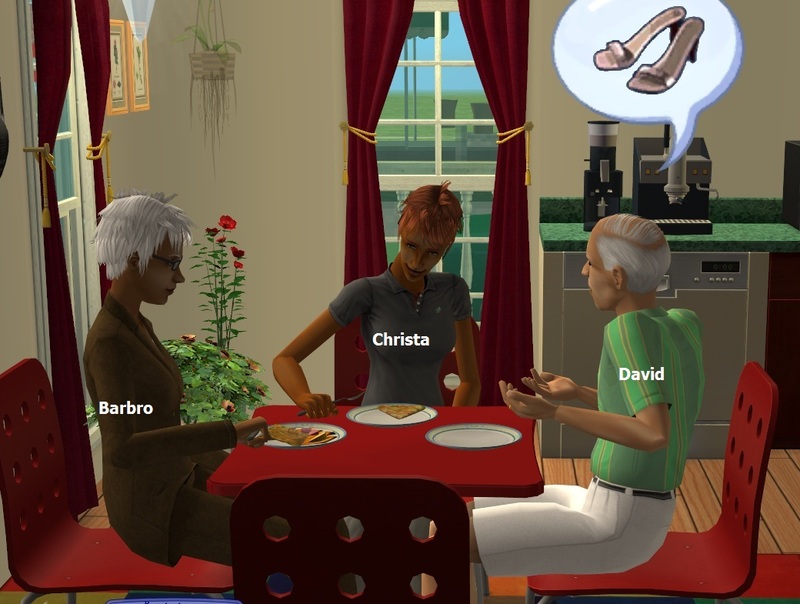 Another nice family Sunday with families that get along. Weird that both boys worry about their girlfriends dying. Pontus looks more like he got fired than made it to the top in that picture. Guess he was just tired after a long day. Which of the boys will inherit here eventually? 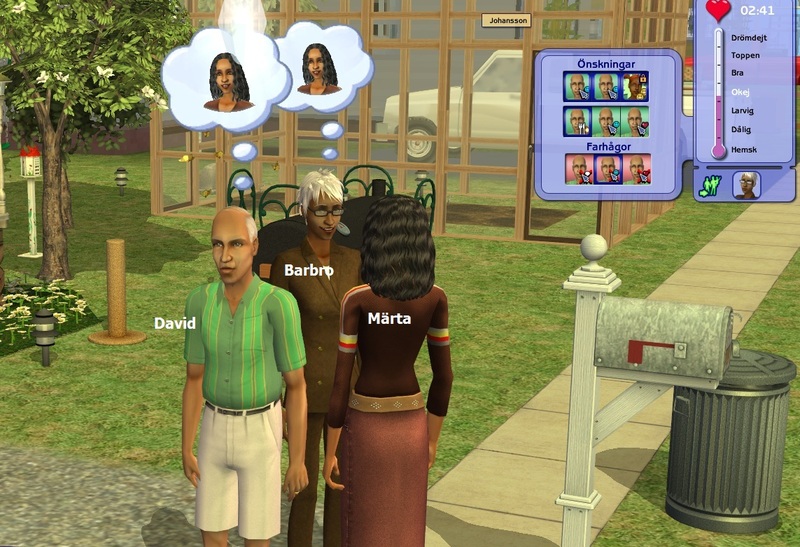 Both boys are dating only-child-girls, so I really don't know who will get the house. 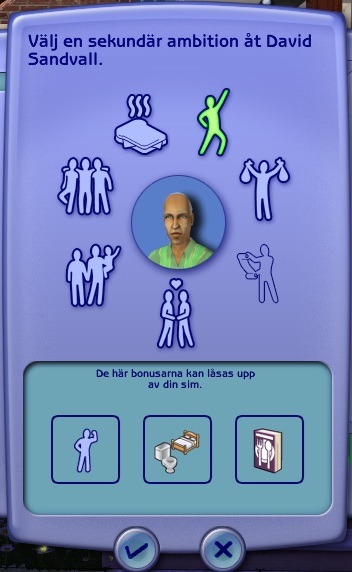 Probably Pontus, he's got a better relationship with his intended than Oliver. None of the three houses involved is an original house, so it really doesn't matter.